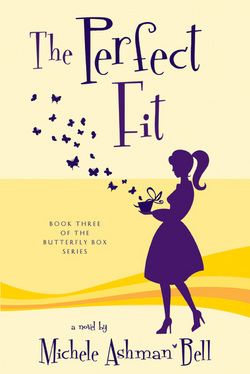 The Butterfly Girls can’t wait to begin their fourteenth annual weekend reunion, a time to renew their bonds of friendship and honor the memory of their high school friend Ava. But a dark cloud of fear soon forms in their shared hotel room when they learn that one of their former classmates has been brutally murdered. And when new evidence suggests Ava was murdered as well, the friends realize one of them might be next. Andi is glad to be taking the Butterfly Box with her to Hawaii, where she plans to spend a few weeks participating in a reality dating show. To her surprise, the eligible bachelor, Michael Makura, soon singles her out for attention, provoking jealous acts of sabotage from the other contestants. Soon a series of unusual events disrupts the pair’s fledgling romance, and Andi starts over in New York where she begins dating a great guy and accepts a job offer from a generous, eccentric man. But when Michael unexpectedly shows up, all is not well in the Big Apple. And soon Andi comes faceto- face with the man who killed her friend—and he aims to kill her as well.